A total of 17 people were arrested in Berkeley, Calif, on Sunday as two rallies — the right-wing “No to Marxism” rally and the “Stop the Hate” counterprotest — clashed. 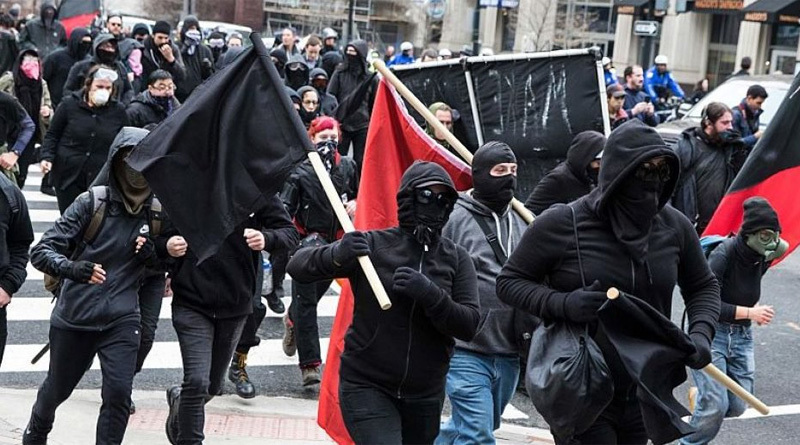 Police used stun grenades to repel black-clad antifa activists, who smashed the windows of a Marine Recruitment center and set fire to several dumpsters. At the rally itself, a few brief skirmishes broke out between the two sides. Amber Gwen Cummings, organizer of the "No Marxism in America" event said, "This isn't about bigotry. It's about loving America and loving all people."